It was an exciting feeling being a Jay’s fan sitting in the Rogers Centre Thursday afternoon. 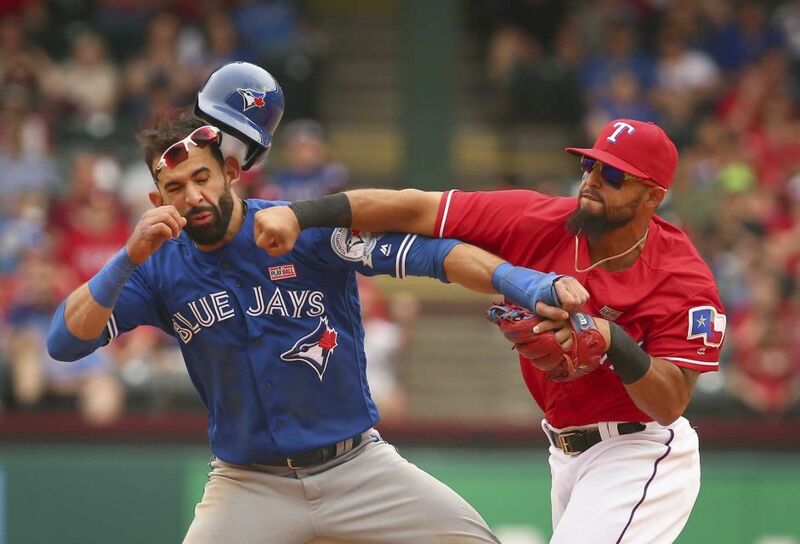 The Toronto Blue Jays were set to take on the Texas Rangers in Game #1 of their ALDS match-up. Before the game, the Jays raised their newly achieved AL East Championship banner to the rafters. David Price would be sent to the hill in hopes of seeking his 1st playoff win. Going into the game, he had a 0-5 record with a 4.50 ERA in the post-season. Yovani Gallardo would be sent as his counterpart. Gallardo is 4-0 with a 1.78 ERA in four career starts against the Jays. Texas would get on the board first scoring in the third inning. Then it would be a back and fourth game between the two ball clubs as Toronto would score runs with help from a solo shot courtesy of Jose Bautista in the sixth. Rougned Odor would be the key player to the Ranger’s success during the game, as a pitch would hit him twice, and launch a home run in the top of the seventh. 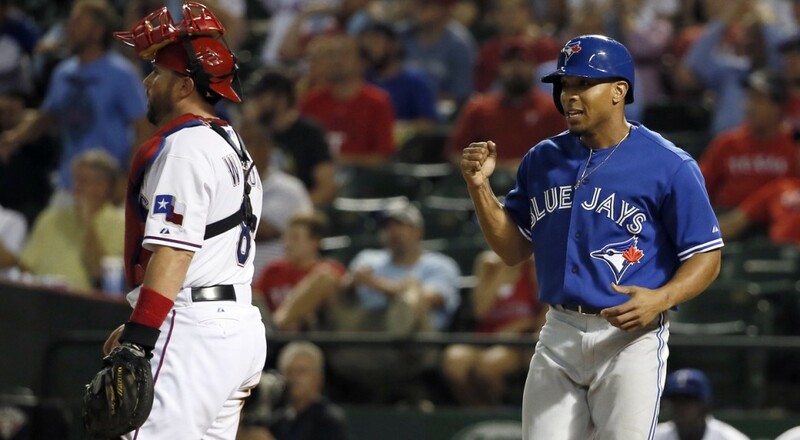 “It means a lot to the team to come to Toronto and win that first game against a great pitcher,” Chirinos said. Texas would face a blow to their left side of the defense, as Adrian Beltre would leave with strain back muscles. “Obviously we want Adrian in there” said Banister. “He’s the heart and soul of this ball club.” After some tests, Beltre returned to the clubhouse about an hour after the game, after returning from the hospital. Toronto would face a couple of late game scares as Josh Donaldson and Bautista would both exit the game with apparent injuries. 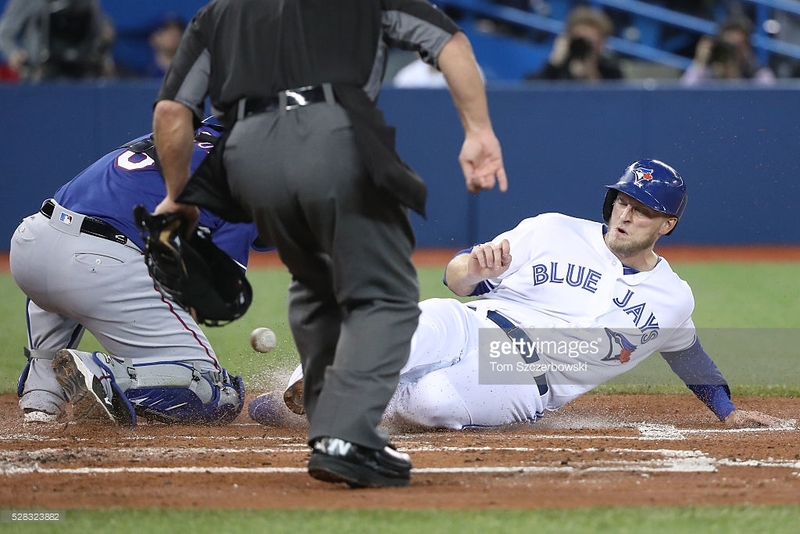 Donaldson would leave after getting kneed in the head by Odor while attempting to jump over him to make a double play. Bautista would leave with hamstring tightness, however both players are expecting to be in the line-up Friday for Game #2. Marcus Stroman (4-0) will be taking the ball for the Jays in tomorrow’s afternoon match-up facing Cole Hamels (7-1). Texas leads the series 1-0 as the Jays will look to even it up before heading on the road for games three and four. First pitch, 12:45ET.